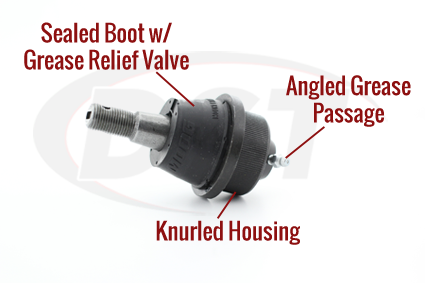 The OE front lower ball joint in GM pickups tends to wear out earlier than it should due to the poor design. 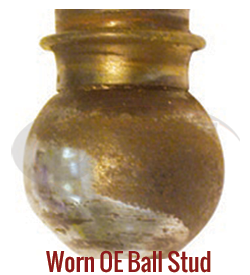 The OE stud ball diameter and OE-style polymer bearing do not provide ample load carrying capability-especially in rough service conditions.  The bearing surface can erode quickly because of the stress load and intrusion. Your front lower ball joint was probably the last thing you thought you'd have to worry about when you bought your vehicle. 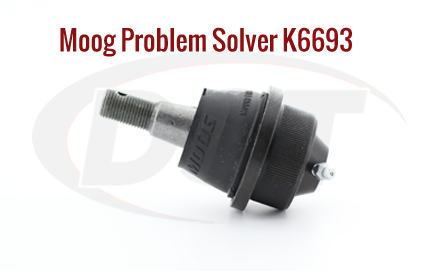 DST has the solution to get your suspension back in shape: Moog Problem Solver K6693. Moog designed K6693 with an oversized ball diameter that maximizes ball to bearing contact. Two powdered metal "gusher" bearings with grease grooves were included to provide the most durable wear surface available. The greaseable design and sealed boot help prevent contaminants from getting trapped and causing corrosion. 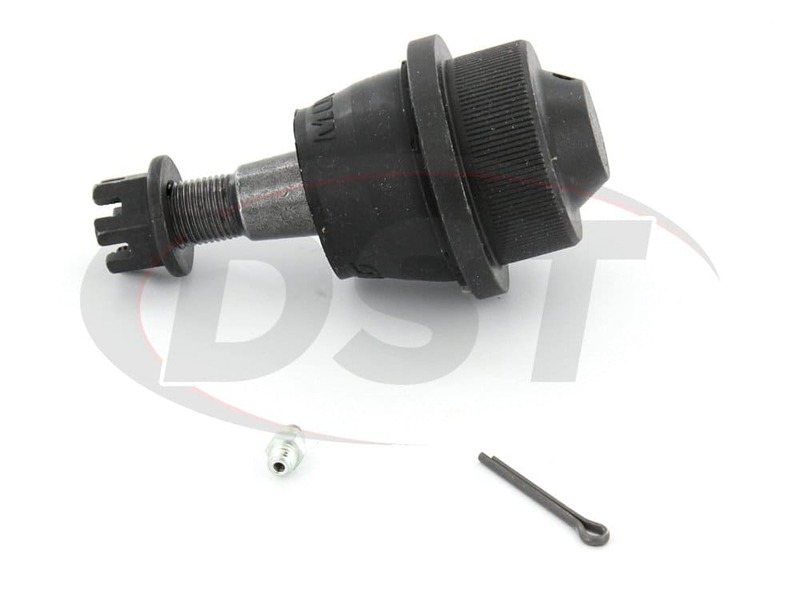 To get your front lower ball joint, give our DST customer service team a call or simply click the live chat button. I only use Moog ..great quality and reliability. Such a great ride now. Bought new lower control arms from AutoZone (wanted new bushings and a Moog brand wasnt available) and replaced the ball joint with these Moog units! Will part number K6693 fit my 2001 GMC Sierra 2500HD 4x4? 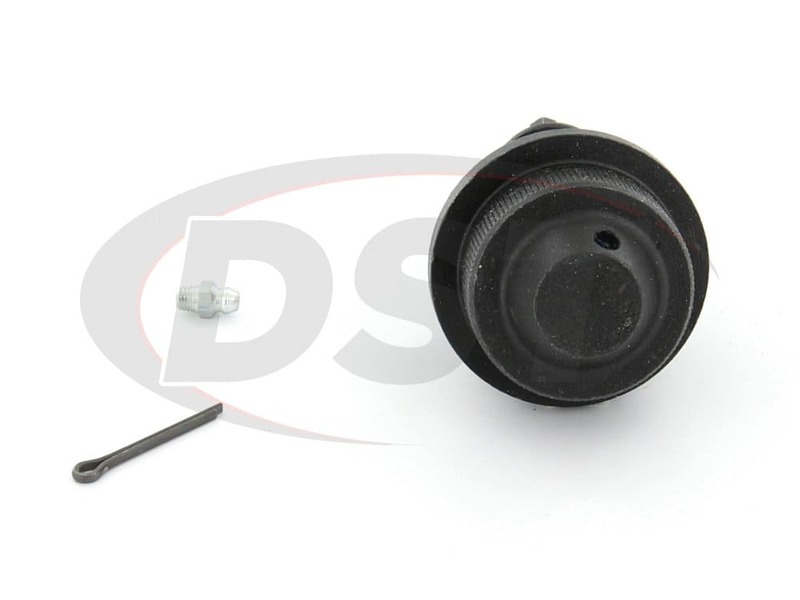 Yes, part number K6693 will fit the 2001 GMC Sierra 2500HD 4x4. Will this fit a 2004 Tahoe or a 2002 Sierra? 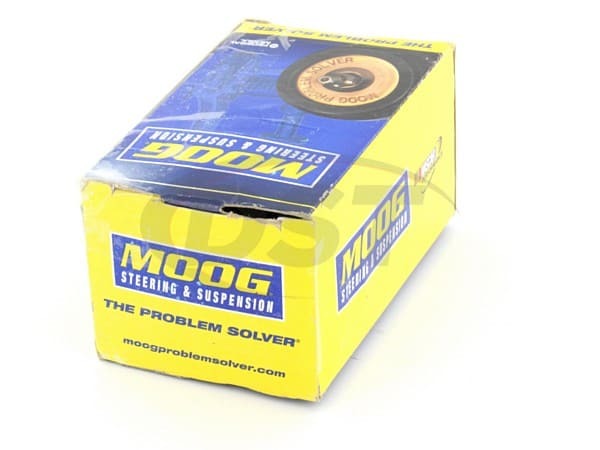 Part number moog-K6693- will not fit a 2004 Chevy Tahoe, but will fit the 2002 Sierra 1500,2500, and 3500. Is the dust boot on part number k6693 covered under warranty? No, Moog dust boots are not covered under warranty. what is the taper of the ball joint stud ? 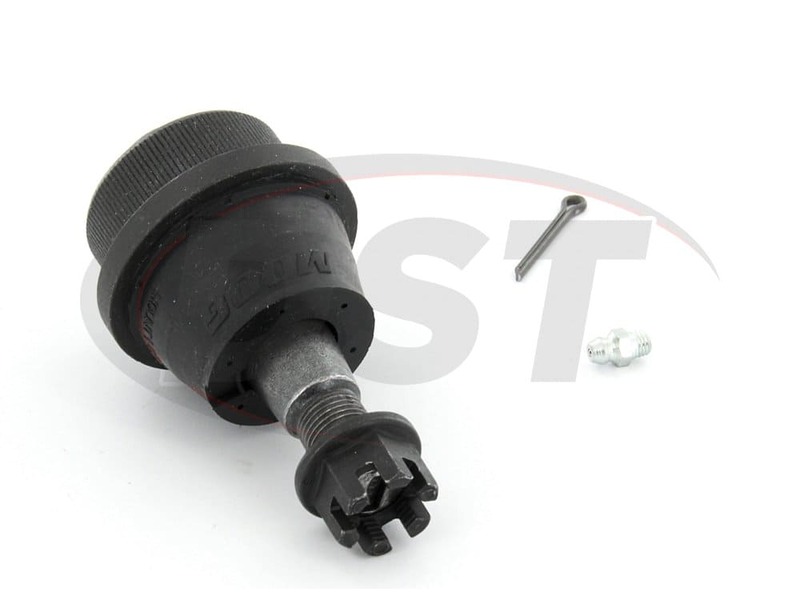 Moog-K6693 - Front lower ball joints - 2002 Chevy Silverado 2500 HD 4wd : Are your lower ball joints sold in pairs or as single items? 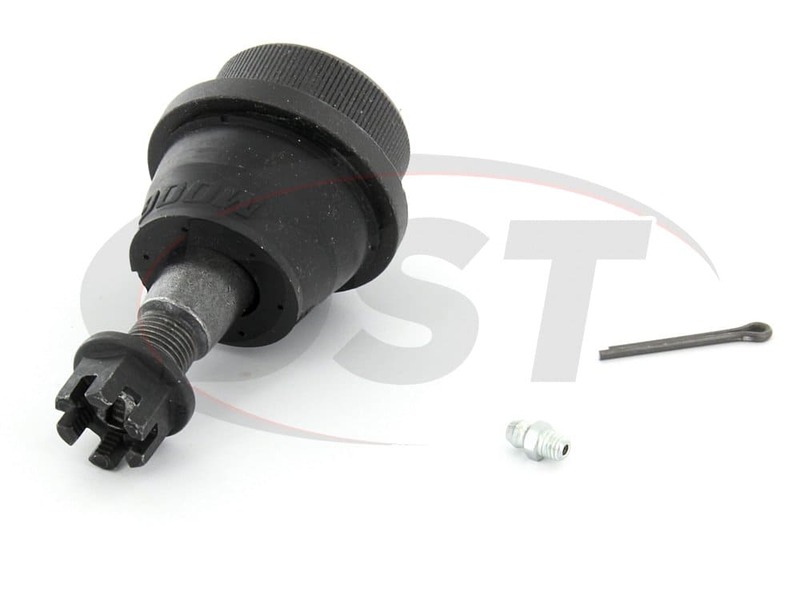 Part number Moog-K6693 is sold as a single ball joint per kit. 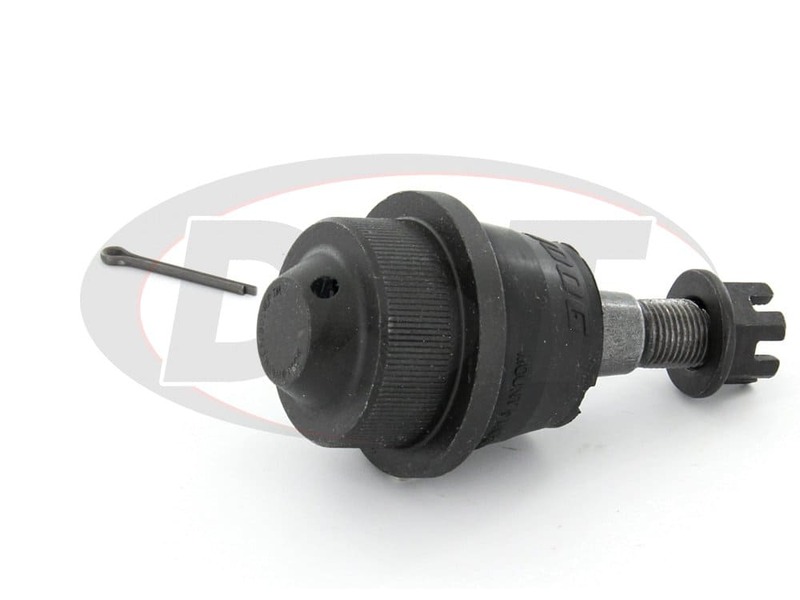 You will need two of this ball joint to replace both left and right lower ball joints. Moog-K6693 - Front lower ball joints - 06/07 Chevy Silverado 2500hd 4x4 - 22,000 miles on pair of front lower ball joint and one is broken. What is warranty and how do i see if this qualifies?